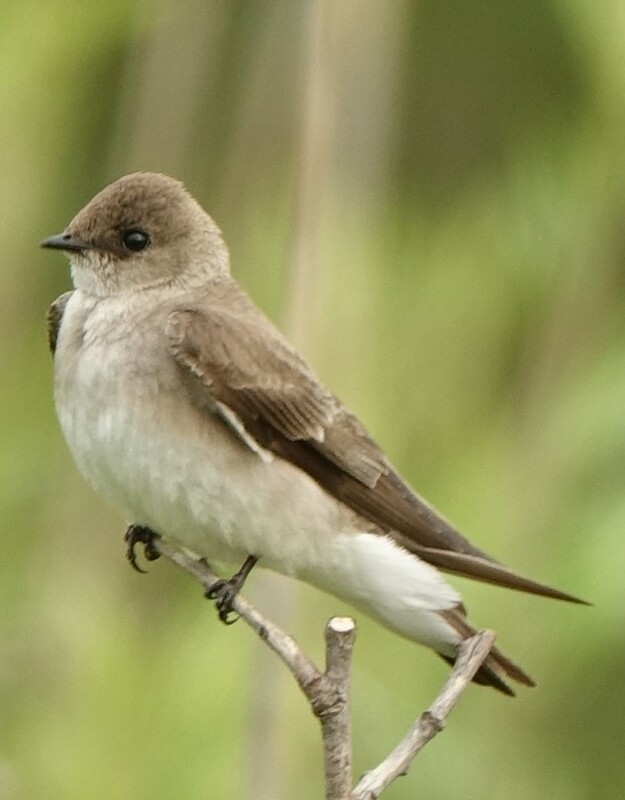 This species is often found with the more familiar Bank Swallow but I associate it with smaller sand banks and frequently find it perched on dead twigs beside quiet waters. It usually arrives about a week earlier in spring and stays longer in the fall than does the bank swallow. 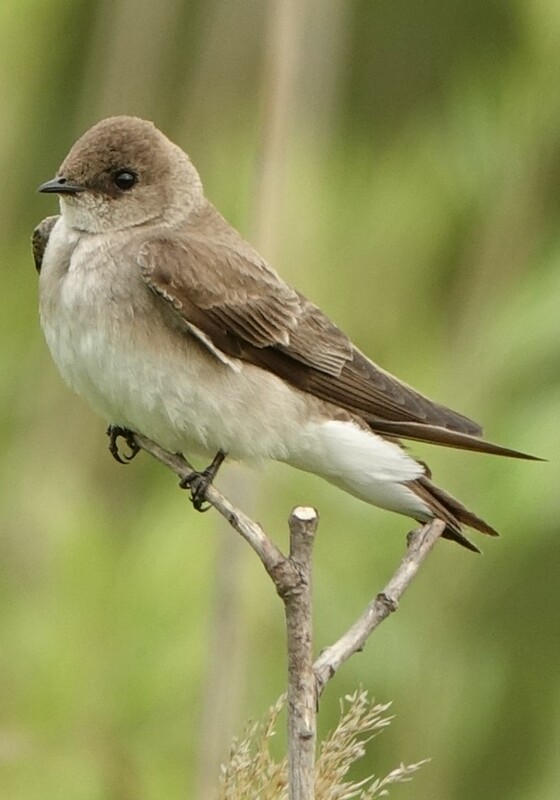 It is not found so far north as is the Bank Swallow in Ontario and is less common even in the south. Most go to Central America for the winter. 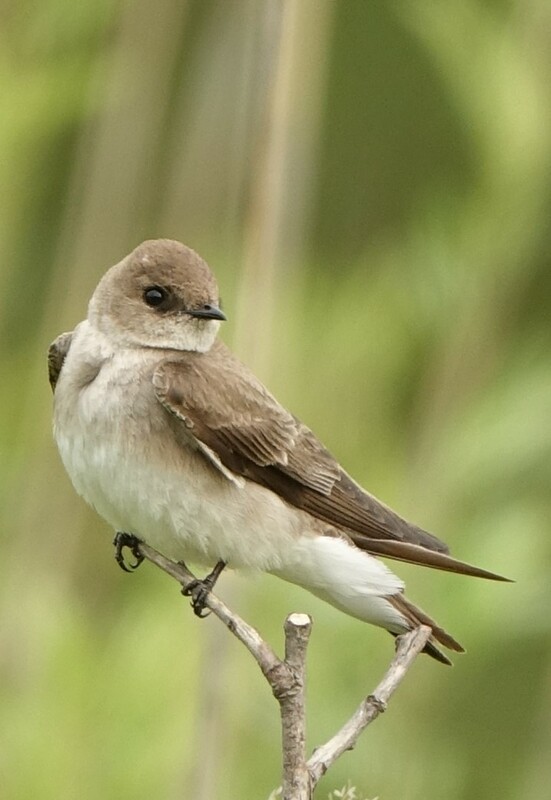 This is the brown backed swallow known for its “dirty chin” lacking the pure white throat of the Bank Swallow and some brownish backed plumages of the Tree Swallow. 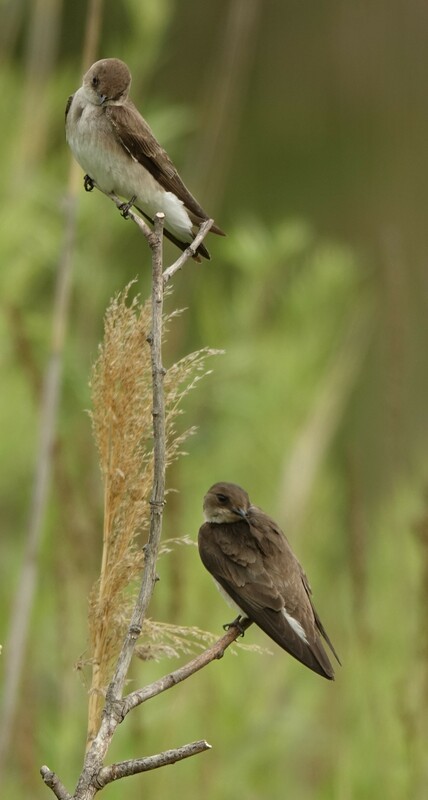 The Bank Swallow also sports a black “necklace” lacking in this species. 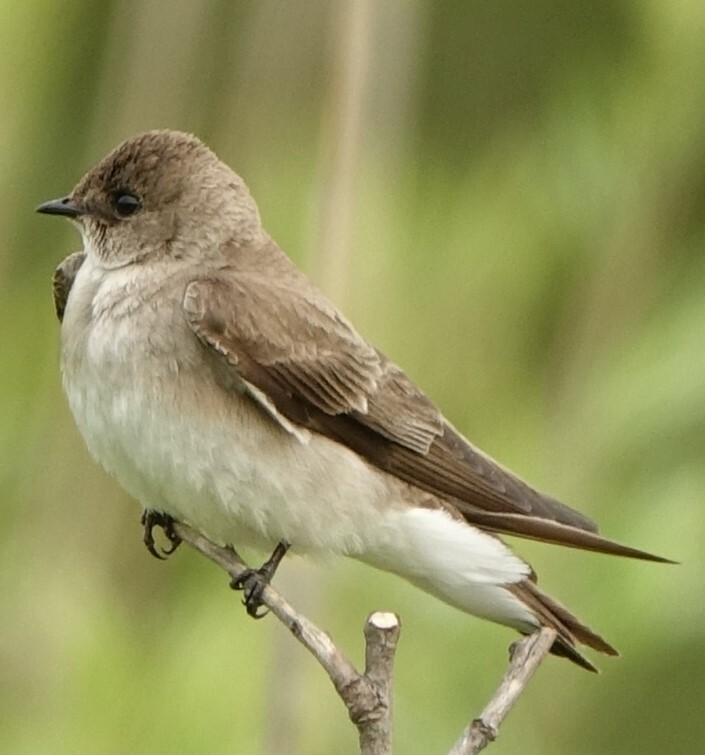 When perched, the Rough-wing shows a suggestion of a crest. The usual flight note is a single “bzzt” not the chattery series of “bzzt”s given b y the Bank Swallow. 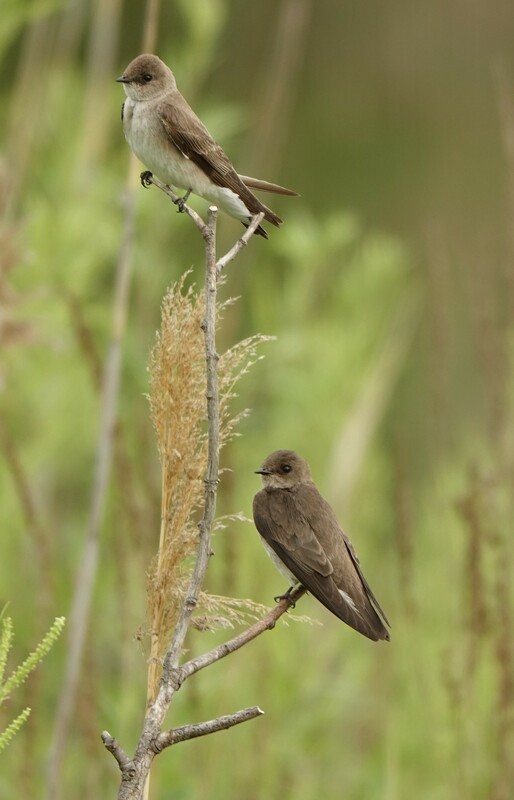 In flight it glides frequently , with less fluttering than is usual with Bank Swallows. 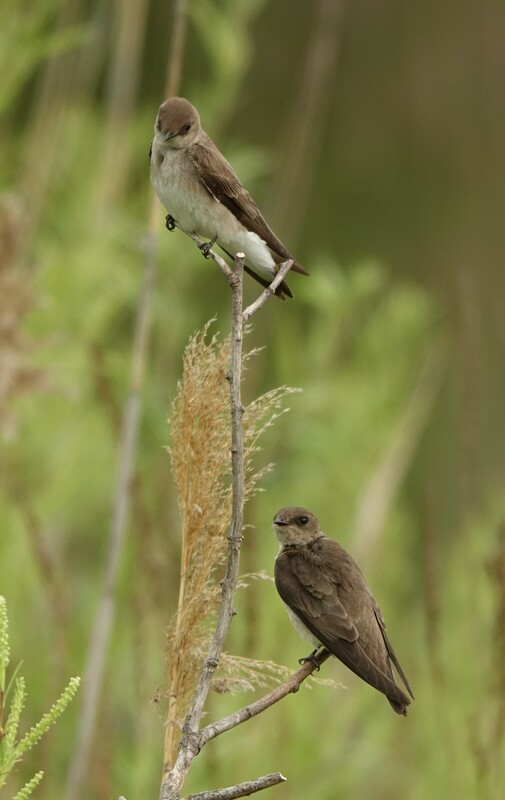 It usually nests in the low cut banks of small streams, or in low road cuts though it may nest with Bank Swallows in larger sand banks. Not infrequently it nests in drainage tiles under bridges. In the hand the leading edge of the outer primary shows a series of hooklets; hence its name. This entry was posted in Friends of Miles on May 26, 2018 by milesghearn.